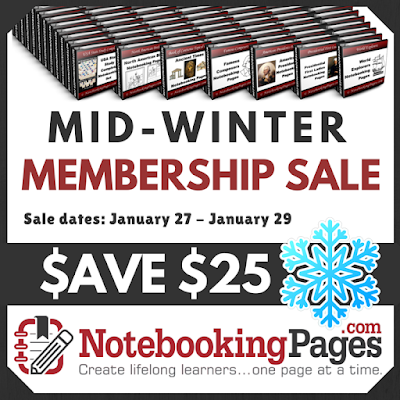 Notebooking Pages Sale! - Don't miss it! This doesn't come along very often so in case you have been waiting to join, now is the time! This sale ends on January 29! Not sure? Click here to see their free sample pages! When I saw this curriculum pop up in the Veritas Press catalog, I immediately wanted to see it up close. Everything Veritas does is completed with great care, and much thought. Their products are well done and beautifully conceived. History of Art: Creation to Contemporary is no different. Designed for grades 2-6 ("Or it may be used as a transitional program in 7th..."), this can be used as a full year course or lengthened into many years of deeper study. Specifically Christian in nature and focus, History of Art lends itself to a rich focused study on how art can and does glorify God. 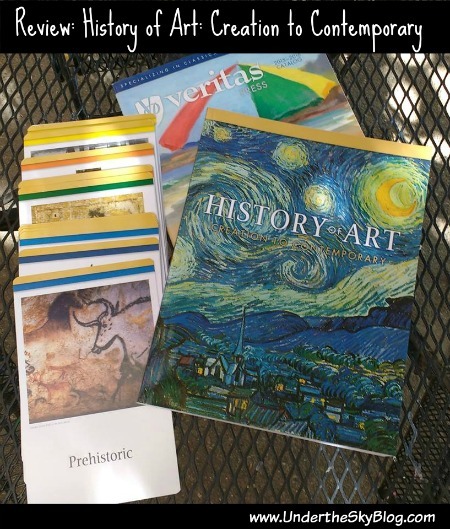 History of Art is comprised of two resources, the 309-page softcover workbook, and the 32 full-color History of Art Flashcards ($44.50 for the set). The book is a full-color treasure trove of information. The workbook begins with a three page “How to Use This Curriculum” section that offers a sample schedule, and other ideas for use. Broken down into 32 chapters of movements (or different art time periods), beginning with “Prehistoric,” each section covers an introduction to the time period, a worksheet or two, sometimes a reading section that pertains to something specific within the time period, an activity or two, focus on specific artists, and a review worksheet of previous artwork. Some of the 32 movements covered include: Mesopotamian, Aegean, Early Christian, Celtic, Carolingian, Gothic, Mannerism, ending with Pop and Contemporary. Each introduction section includes dates and important facts attending to the chapter’s focus, period-specific vocabulary (for example, “mosaic” is defined under the chapter on Greek art.) 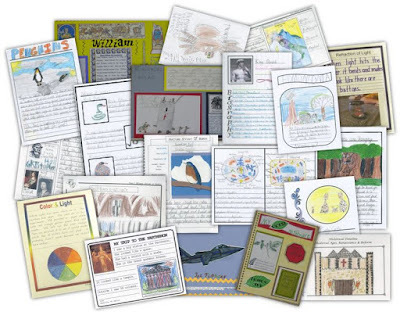 A worksheet may ask questions like, “Whom did the Romans glorify in their art?” or “Of what Christian subjects did Botticelli make many beautiful paintings?” The review pages are varied. Your student might be asked to identify previously studied artwork by title, date, and movement. Or, as an example from page 44, your student is asked to identify 12 different close-up portions of previously studied artwork, by identifying which movement they came from. I really love the review sections! The 32 full-color Flashcards are the key to the set and entirely integral to it. Without them, you might as well not use the curriculum. On the front of the card, you find a single art piece. As an example, I will discuss the High Renaissance card with the marble statue of Moses, by Michelangelo di Lodovico Buonarroti Simoni. Did you notice they used his whole name? Many art products don’t. On the back of the card, at the top, it gives the movement (High Renaissance) and the dates of the movement (1490-1527). There are four paragraphs of information pertaining to the High Renaissance, and the card discusses two other artists from this time: Leonardo da Vinci and Raphaello Sanzio da Urbino. The Mona Lisa is also featured on the back. This is repeated for each of the 32 movements covered in the book; one card per movement. There are several games with accompanying art game cards found in the back of the book. These are removable, and require some cutting and assembly to use. In fact, all the pages in the book can be removed and handed to the child as needed. This makes it a easier to use and to focus on the movement you are studying. There is an art song, quizzes, tests, and field trip suggestions with an History of Art: Art Report worksheet too. The answers to all the questions for worksheets, quizzes, and tests are found in the back of the book. What I like the most is that this curriculum does not try to cover every artist or piece of art found within a movement. For example, in the book chapter on the High Renaissance, your student will study, The Last Supper, by Leonardo da Vinci, The School of Athens, by Raffaello, The Sistine Chapel, by da Vinci. This is in addition to the Flashcard that features, Moses, and the Mona Lisa. 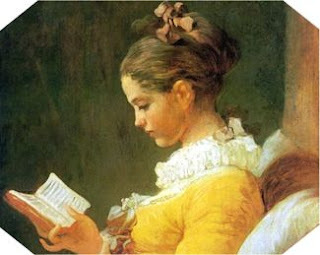 There is a vast number of other pieces of art that could be studied, and you can certainly expand your family’s study. However, if your goal for this curriculum is to have a solid overview of the 32 art movements, the narrowed focus is excellent. In the History of Art, they ask the reader, Why study art history? Their answer is eloquent and timely, and I will close with it. God made us creative and on Mount Sinai gave instructions on how to use art. Virtually all cultures have made art, and that culture’s art reveals its hopes, dreams, and beliefs. Sometimes all we have of a past culture is its art. If you do an online search for the Italian Renaissance, much of it will be about the art. For nearly two thousand years, Christians have made art. Art educates and enriches faith. And by studying the art of the past, their hopes, dreams, and beliefs, we can learn something about ourselves in the present. I can’t say enough good things about this curriculum. History of Art: Creation to Contemporary is a wonderful choice for a homeschool family! I don't know about you, but I am not always the best planner when it comes to dinner. Some days, like today, I am on top of it, and have beef carne asada cooking in the crockpot. This is a "first time" recipe so we will see how it goes! I was inspired by my friend this week. She is menu planning for her large family, and said it was saving her money by doing so. I thought hmmm... that's a good reason to menu plan if there ever was one, and I'd like to be more thoughtful with dinners so I am not scrambling at the last minute. I was going through my recipes and discovered this one again. It is a delicious medley of spices and flavors, and it comes together in the same amount of time it takes to cook brown rice. That works for me! Sometimes I just can't get to the crockpot early enough in the day! 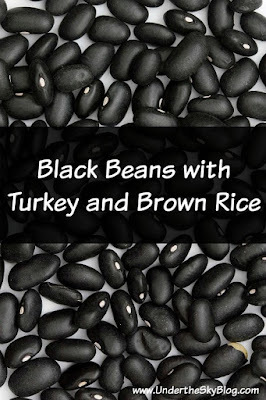 3 C cooked black beans, rinsed if canned. If you cook from scratch, 1 C dry = 3 C cooked. 3 C freshly cooked brown rice (can use white, but brown is more filling and tastes better). 1. Heat oil and cook turkey until done. 2. Add onion, bell pepper, and garlic, and cook five minutes until tender. 3. Whisk tomato sauce, soy sauce, lemon juice, mustard & chili powder until blended. Stir into turkey mixture along with the beans. 4. Reduce heat to medium low and cook 20 minutes until hot and the flavors are blended. 5. Serve over hot brown rice. 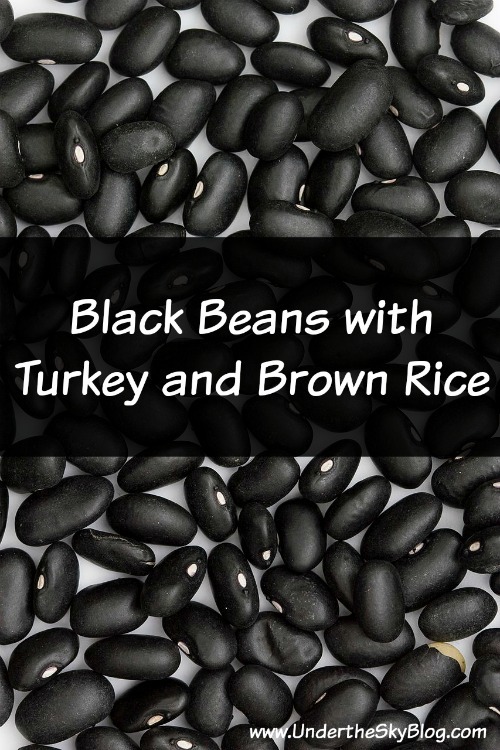 This is a really good, and easy-to-make dish that comes together (if you have the beans cooked) in as much time as it takes to cook the brown rice. There is a lot of change happening in our household. In two months, my oldest daughter will wed her beloved, and they will start their new life together. That's a huge thing for this mama! We are in the deep of wedding planning and I have started to make the centerpieces. It is enjoyable for me to return to something I love - floral design - for one of the people I love the most, on her special day. 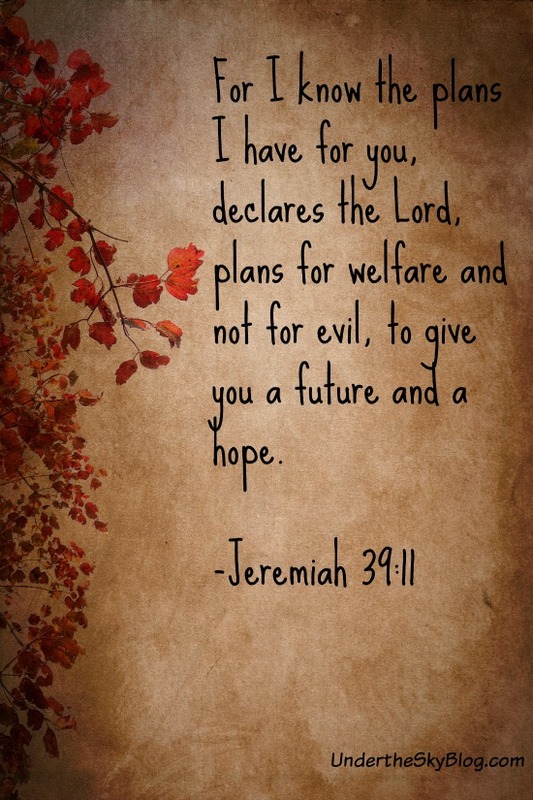 I am so glad that God knows what He is about in the lives of our children. He is in every detail. He knows the plans He has for them. We were a part of our oldest's plan for 21 years. I hope He grants me a long life that I may continue, but in a different role. What an honor it has been to watch her grow and change, and to become the beautiful young woman she is today. I am overwhelmed with reward. I discovered this book list many moons ago, early in my homeschooling life. I share it here because I rarely see it shared anywhere anymore, and I think it is worth its weight in gold for a homeschooler. Listed by age/grade range, and then divided into different book categories, you can find a lot of books here! Have you ever seen this list? So what are you reading right now? What is on your side table?